Our journey started with a simple email enquiry which resulted in an immediate response from yourself. This resulted in a lengthy telephone conversation, which convinced me that you were the one to organise our family trip for us in Tanzania. I had spoken to other operators previously but it was a chance conversation with a mutual friend that led me to you. The safari is now over, but what a wonderful experience. This trip was the culmination of several exchanges between you and us, fine tuning the trip until it was perfected. Our dealings with you could not have been any smoother nor any more transparent. I am grateful to you for overseeing every aspect of this journey, even before we left. I was very surprised to have you call us when we landed in Arusha, ensuring our safe arrival and pick up with your local operators. I was even more grateful for you to have kept in touch with us throughout our seven days on Safari. We have travelled far and wide and have never had anybody check to see how our trips have been progressing en route! You were aware that I was a keen photographer and you more than fulfilled your promise that you would provide your preferred travelling companion for us. It is thanks to Moses, your chosen guide and tracker, ( and also a very safe and considerate driver ) that I managed to capture so many amazing photographs of the game in all the parks that we visited. He knew exactly where to go and his anticipation was incredible. We seemed to be more often in the right place at the right time than not, often on our own and then, of course, all the other operators’ jeeps would arrive. 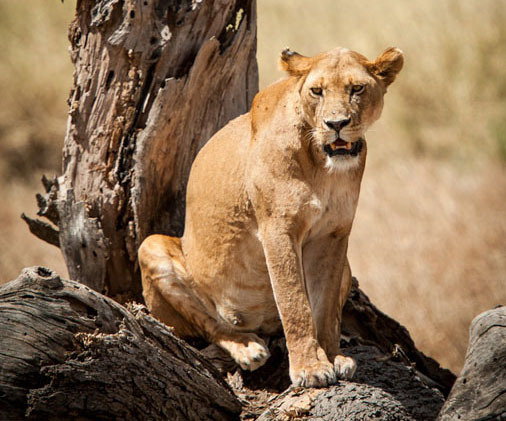 Highlights included a lioness preparing for and the executing a hunt on a herd of gazelles, albeit unsuccessfully, the crocodile devouring a baby zebra that had strayed into its water and the leopard feasting on its kill in the tree! You would have seen this from some of the photos and video I have sent you. Many more to follow. Your choice of lodges was also spot on based on our requirements. The Serena Lodges take a lot of beating for overall service and value. And thank you for organising the surprise cake and celebrations at the Ngorogoro Serena Lodge for my wife’s 50th and my son’s 21st birthdays while we were on safari. This was completely unexpected! I would like to thank you and Beena for organising this incredible trip. There was not any aspect that could have been organised any better. I will be in touch for our next trip to this amazing continent. In the meantime, keep well. This truly was a trip of a life-time. It exceeded my expectations. Moses is a gem. His extensive knowledge and keen eyesight made this adventure even more memorable. All the other guides paled in comparison. Thank you for making this trip so special for me. We were met by Michael at the Airstrip of Iringa and driven to Ruaha. Michael was an excellent driver and guide. He knows a lot about the animals. It was both fun and interesting to discuss with him the differences between Tanzania and the Western society and culture. Besides he is very friendly and obliging! After getting back to Iringa, we were taken by George to Mbeya. He is a very safe driver! I can highly recommend UB On Safari! Be sure, they want you to live an experience of a lifetime and are happy to make flexible changes if you wish so. Beena and Umang the tour directors are very enthusiastic and genuinely want you to have a fantastic experience. This helps immensely as it takes the stress off the tour and you can relax that you are in best hands. Communication with how you are getting on and any other personal needs such as a sim card, advise on shopping locally is always at hand. Selection of the safari parks which can fit into your budget as well as their recommendation about balloon safari made our trip memorable. 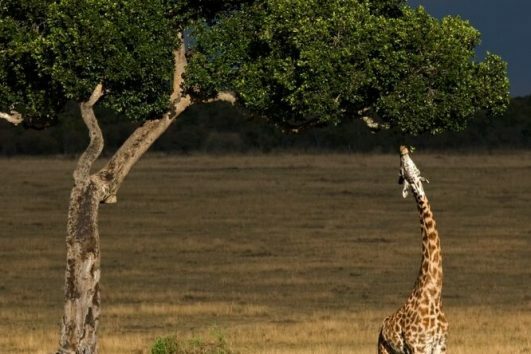 The safari guide is very well experienced and makes sure you enjoy and get to see some memorable animal life including lions chasing buffalos and hyenas feasting on a zebra and lion preying on a gazelle. 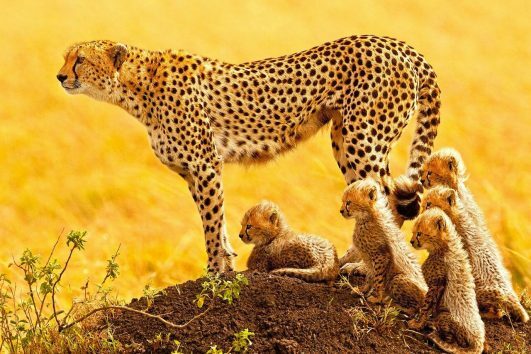 Watching animals in their own home at such close quarters with wild life was unthinkable for me and my family but upon safari made it a reality safely, comfortably and enjoyably. I would highly recommend you to book Ubon Safari for a very well priced high quality tour – Mind blowing, awesome and very personalised tailored to suit you and your family. UB on Safari arranged a holiday perfectly suited to our tastes and which was thoroughly enjoyable. We were looking for a different sort of holiday centered in southern Tanzania and found UB on Safari catering to that area. They seemed to know exactly what we were looking for and arranged a trip with several elements: a nostalgic visit to Mbeya, staying in the very comfortable Hill View Hotel; a game park experience where we really enjoyed the tented camp, Tandala , and finishing off with a few wonderful days on Lake Tanganyika at Lake Shore Lodge – all highly recommended accommodations. The Serena Hotel in Dar es Salaam was also a great choice of a place to pass through coming and going. I would really like to thank UB on Safari for providing us with first class drivers and an amazingly well informed game park guide, all amounting to a wonderful holiday. If you love wild animals, are grateful for dedicated guides who will find them for you and you like wide open spaces to see animals in their habitat not in zoo cages, UB On Safari is a good choice. 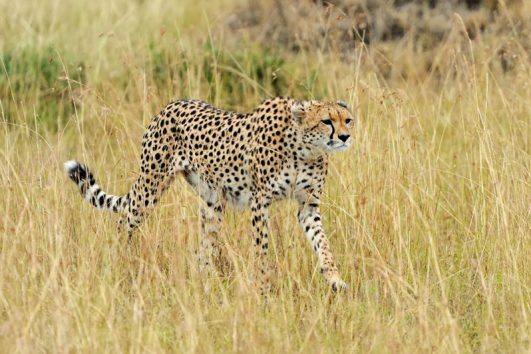 At the Serengeti where you can see for miles and watch the gazelles jump, understand why elderly male elephants travel solo and see cats because your guide might be really good…he’ll find that cheetah that no one else could find! At the Ngorongoro Crater while tighter in space you have the humrous experience of watching people watch animals…..part of the safari experience for sure. A super plus of UB On Safari is that they let you travel alone, not with strangers…Lodging was wonderful, meals for me the vegetarian, were exquisite and my meat–eating husband actually enjoyed the vegetables so much he ate very little meat. 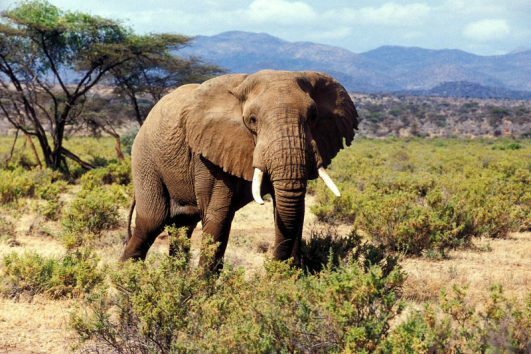 A great experience, if you are looking to see Africa in five or fifteen days. 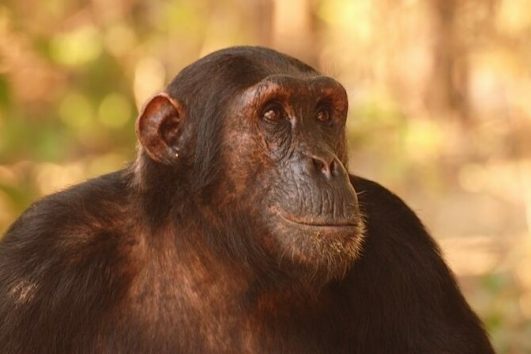 From a whole host of your companies I thankfully chose UBON safari to book my tours into gombe to see the chimpanzees and to the Serengeti and surrounds to see the wildlife. I would not consider myself an easy person to please but these guys blew me away. It’s such piece of mind to know that you don’t have to worry about anything especially considering flight cancellations without warning. These guys were 100% professional and were my eyes and ears to any travel changes from other tour and aircraft companies (which happens often). I simply cannot recommend them highly enough, Umang and Beena are amazing. 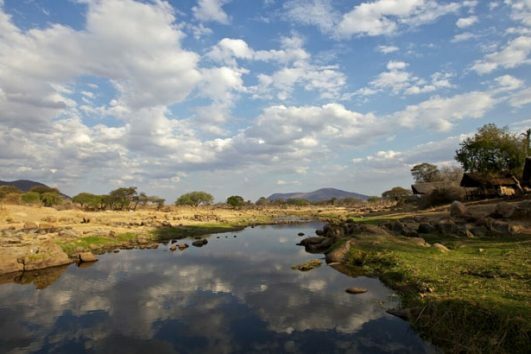 An exceptional and reasonably priced safari experience! My son and I had an exceptional safari, which was frankly much more fun and interesting than I expected. 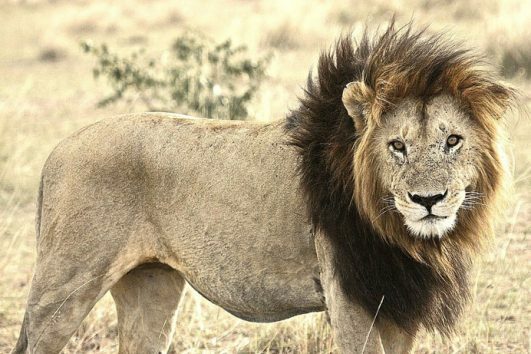 Over six days and five nights, Tarangire–Serengeti–Ngorongoro provided many memorable sights and exceptional wildlife. We had our own guide, and were surprised that there were relatively few other guests at most of the lodges and camps (which were uniformly excellent). Internet connectivity was good at the resorts, but of course not available at the tented camp. Although it was technically the start of the rainy season, we did not have any rain. Highlights included observing the birth of a hippo, sighting three cheetahs and also a mother leopard and her cubs, watching two lions attack a herd of cape buffalo, seeing six rhinos at Ngorongoro (including two who crossed just in front of our Land Rover), and driving through the middle of the Great Migration and thousands of wildebeest. Umang was very reachable, and our guide Moses was excellent. We highly recommend Ubon Safari. There is plenty to say about Ubon Safari. They absolutely shine on service and execution and most importantly price. Let me give you a run down. A knowledgeable guide/driver will be waiting for you at the airport in our case it was Kilimanjaro. 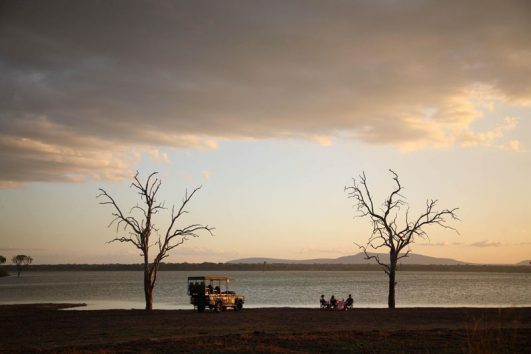 We did the Lake Manyara/Serengeti/Ngorogoro crater 3 night /4 days all at the Serena Lodges (highly recommended) and we opted for the private jeep (highly recommended). Our guides name was Phillip, he was great and knew the terrain well with over 10 years of experience. Its very important to discuss your desires with him right out of the gates so he can deliver the right safari. We wanted to see all the big animals or as they as they say the big 5. Be prepared to be tossed around as the roads can be bumpy, it is a safari after all. You will encounter an array of animals and majestic landscapes that times out shine the animals. My advice is get up early of possible wear very comfortable clothing that fits loose and have your gourmet breakfast and head out into the wild. You will have box lunches(might want to let them know what you like to eat) on the road and be at your next luxury accommodations by 5-6 pm to relax and unwind. The Serena Lodges (free wifi) are they way to go if possible (the views are amazing!) The service level is very high and the food is top notch. Ubon will call or email you to make sure your trip is excellent and any issues are resolved. In our case it was seamless and perfect. I really feel you do not have to wait to experience a luxury safari. We are very happy we went and we will be booking another one in the near future. Ubon will make it work for anyone. Lastly animals are unpredictable be patient and it will happen. Hakuna Matata- Don’t worry, be happy!